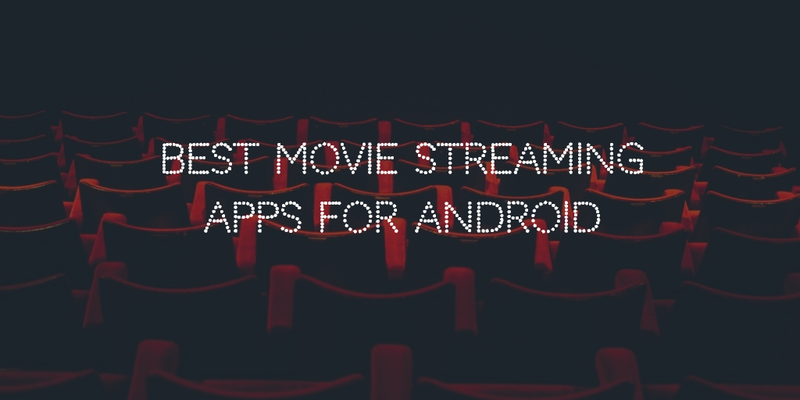 Your search for the best movie apps ends here, on this blog. Have an exhilarating experience of watching your favourite movies and TV series on a movie streaming App that caters to your insatiable needs. Movie Apps with latest features and countless titles are the only thing that you can ask for if you happen to be a movie-buff with a great appetite for entertainment. But with ever growing number of Movie Apps, it has only led to the confusion in the minds of users that which movie app they should actually go for. Here is a list of carefully chosen Movie Apps which can run on both, iOS as well as android devices. While some are easily available on Google play store, others can be downloaded from other sources for free. Movie HD – Movie HD is another top class app that you would like to have on your android device. The stand out feature of this app is that it allows you to stream any film of your choice straight to your TV screen with the help of Chromecast. Designed and developed by HD Cinema and Sky HD, it promises a great deal in terms of a vast database of free movies from across the genres. So, if you are someone who likes to watch movies on your smartphone and relish as much experience on a big screen of television, this app is for you. You can download the app from its official site for free. Tubi Tv – If your ideal pick is an app that’s simply loaded with inexhaustible number of movies and variety of TV shows. It has to be Tubi Tv as it boasts of humongous digital collection with as many as 40,000 titles to choose from. With a million plus users all around the world, Tubi Tv is fast catching up the popularity as one of the best apps of the time. It’s an app that makes sure that the contents are regularly updated and frequently tweaked to meet the requirement of the users. If it’s number of the titles and variety that counts, this app is certainly for you. Crackle – Crackle is yet another fantastic free movie streaming app available on Google Play Store. What makes this app extremely likable among its users is its user friendly interface which allows a smooth navigation. You don’t need to do any registration and give out your details unlike many others. You can simply download. The only hitch is that you can’t download movies for offline viewing as this feature no longer exists. But other than this it is a wonderful app with a great collection of movies from every genre. Viewster App – In a long list of amazing free movie apps, Viewster App features next. This App happens to be a popular pick among anime viewers worldwide specially Europe. With 20,000 plus anime movies and popular anime shows, it is a hit among anime fans. You can watch it on your smart phone or a TV screen as Viewster App is compatible with Chromecast. Download this app if you have a varied taste as it is rich in content and variety. Terriarium TV – Terriarium TV is an app that lets you watch any movie through cloud or via Google Drive as it is a third party instrument. What makes Terriarium TV interesting and appealing is the fact that it enables you to download English subtitles. As it basically works like a search engine, you can easily have an access to latest movies and shows for free. Give this app a worthy try and I am sure it won’t leave you disappointed. Popcorn Flix – Popcorn Flix is a relatively new movie streaming app on the block with just 700 titles to select from. However, it’s making it presence felt through regular content updates and everyday new addition. You can enjoy the listed titles for free on your android phone. There are no charges what so ever. Smooth and seamless navigation attracts the interest of users. You TV Player – You TV player is as good as any other free movie streaming app. You TV Player is not only useful because it allows us to watch the TV but because it allows us to watch channels that otherwise we could not (by geographical themes), it allows us to see them directly in our TV with Chromecast. In You TV Player there are channels like HBO, FOX channels, Unicable, TDN, UFC Network, BeinSports and many more, all of them perfectly sorted and running from a single application. The list of the best movie streaming apps ends here. Identify your needs and choose the suitable app that serves you the best. Let us know which app listed in the article is your favourite one by leaving a comment in the comment box. We are looking forward to your insightful feedback.